Get Started with Healthy Meals, Inc.
What is Healthy Meals, Inc all about? Healthy Meals, INC is Kansas City’s premier meal delivery service bringing a convenient and customized dining experience to your doorstep every single day. We take your unique dietary needs into consideration and provide you with a healthy and simple solution to managing your personalized nutrition. Our meals are delivered fresh daily. Is Healthy Meals, Inc affordable? Absolutely! On average, people spend approximately $20-$25 each day on food that does not guarantee proper portions, convenience, balanced vitamins and minerals, nutrition, or overall quality. Healthy Meals, Inc provides you with all of those benefits at a comparable daily rate. Our pricing stems from quality. Highly experienced chefs and top quality ingredients are what we insist upon to ensure you are getting exactly what you are paying for. Our program pricing depends on what plan you enroll with. 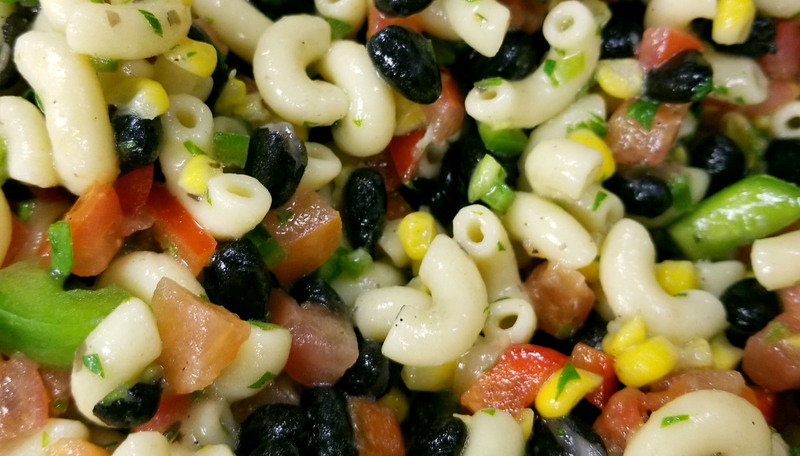 When you consider the quality and convenience that are inherent in our service, you’re going to quickly realize the tremendous value you are receiving with Healthy Meals, Inc.
What is Healthy Meals, Inc’s food like? We prepare all meals fresh daily using only select ingredients. Our produce comes predominantly from local farmers; and we select only the highest grades of meat available. We take meals and snacks everyone loves and prepare them in a healthy way and then portion them specifically to each client’s meal profile. We offer a wide variety of cuisines that incorporate grains, lean meats, heart healthy oils, fresh fruits and vegetables. You’ll never get bored on this plan, and yes, desserts are included in our Optimal Meal Plan! 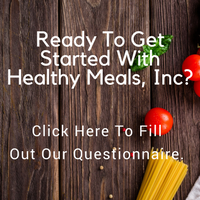 How does Healthy Meals, Inc customize my meal regimen? Whether you are looking to lose weight, manage diabetes, gain muscle, or just maintain a healthy lifestyle, we can customize a plan just for you! We begin by having you complete our detailed health questionnaire. Once we know your age, weight management goals, medical concerns, food aversions and dietary requirements, we enter it into our specialized software to compute your customized dietary needs. Each meal you get from that point forward will have a specific number of calories, complex carbohydrates, proteins and essential fats that together, will meet your body’s needs and help get you to your goal. Can Healthy Meals, Inc accommodate my food restrictions? We can even accommodate your medically-recommended or supervised diet. And, if you have a specific food allergy or aversion, just let us know and we will include those in your profile, so you never have to worry about them ending up in your meals. What kind of variety in meals can I expect? We offer a huge variety of regional, global and seasonal cuisine so you don’t get bored. We have a 4 week seasonal rotation consisting of our clients’ favorites. That means you’ll get the best of the season, so you’ll experience a host of new signature items every winter, spring, summer and fall. And we love to mix in creative additions to keep things exciting! Our menu is constantly expanding and we always welcome your feedback! How and when are the meals delivered to me? Your meals are delivered bright and early each weekday morning; guaranteed to be on your doorstep by 6 a.m. We simply drop your meals off in your own personal thermal tote cooler. When you wake up, your meals are there ready and waiting for you to take with you, complete with frozen plastic ice blocks to keep the meals cold the entire day. Before you go to bed, leave your empty thermal cooler and plastic ice blocks back outside your front door and we will pick up that bag and leave you with a new delivery bag with your meals for the next day; it’s easy and convenient! I am accustomed to eating 2 or 3 meals per day. Why does Healthy Meals, Inc offer 5 meals per day? Our signature Optimal Meal Plan includes 3 meals and 2 snacks. We encourage you to eat more times a day than perhaps you are used to, because it helps maintain a consistent blood sugar and energy level, optimize your metabolism, and avoid the unhealthy snacking that can often occur after long periods between meals. Healthy Meals, Inc manages your total daily caloric intake with these two snacks included; we space those calories out throughout the day so you feel satisfied while keeping within your set guidelines. Do you have a plan for me if all I really want are 3 meals a day? Our new Basic Meal Plan is similar to the Optimal Meal Plan in that you’ll be getting customized healthy meals, but only the core 3 meals each day consisting of breakfast, lunch, and dinner. This plan is great if you’re looking to again, add convenience to your daily routine and eat healthy. It’s a great start to optimizing your health and the way you feel, but it does not allow us to manage ALL of your daily caloric intake and macronutrient portioning (protein vs. carbs. vs. essential fats.) The Basic plan offers a great way to eat healthy, get a lower price point, and manage your own overall daily caloric intake with your own snacking or supplemental preferences. How do I reheat my meals? We serve all of our meals in air-tight and microwave-safe containers. Simply place the meal container that you want to heat up with the lid popped slightly open in the microwave for about 45 seconds. What do I do with my empty meal bag and containers? Healthy Meals, INC is a GREEN company. We will gladly take back your meal containers, but simply ask that you first remove your container labels and rinse out your containers before returning them with your outgoing delivery bag. If they pass our inspection, we re-wash and sanitize them before they are used again. Our containers are 100% BPA free! Before you go to bed each night, simply place your empty bag, rinsed out containers, and plastic ice blocks back outside your front door for our delivery driver to pick up and replace with a new bag containing your next day’s meals. What is Healthy Meals, Inc philosophy for weight loss and weight management? The single most important factor in weight loss and weight management is eating the right number of calories. Weight loss happens when the number of calories you consume is less than the amount of energy you expend. Maintaining your current weight happens when calorie intake is in balance with energy expended. We recommend that you drink lots of water and not eat past 8 p.m. I am trying to lose weight how long before I will see results? Weight loss will differ from one individual to the next. Ideally, you want to lose weight slowly at a rate of 1-3 pounds each week. Clients that have weight loss questions can consult their health care professional or call us at Healthy Meals, Inc to discuss their goals, update us on your progress, and/or make adjustments to their meal regimen. Certainly, living an active lifestyle or incorporating an exercise plan in conjunction with your meals will only amplify your results. The longer you stay with us, the better your results can be. Not only can we help you lose weight but you’ll experience greater energy and vitality. We have many clients who have reached their weight loss goals and remain on their meal plan simply for maintenance and convenience. Click here for information about how Healthy Meals helps you achieve your ideal weight goals. How can I best monitor my progression and stay in touch with the Healthy Meals, Inc staff? We’ve made this very easy! We’ve created our own Mobile and Desktop applications that serve this very purpose! This app primarily serves to track how well you adhere to the diet regimen we provide. How successful you are depends on your dedication and this app will grade you on your efforts. Not only will you track how well you adhere to your diet, but also weight change, daily exercise, and daily water consumption. Plus, you can also give us feedback, request HOLD dates, and refer your friends! Can I use the Healthy Meal, Inc Diet tracker application indefinitely? Of course! You can use our app while you’re on your plan with us and certainly thereafter. It’s a great tool to utilize how well you stay on track for as long as you so desire. You can also reset the data within the application should you take a break and want to get back on track monitoring your diet, daily exercise, and daily water intake. What if I am a fitness enthusiast, athlete or bodybuilder? Is Healthy Meals, Inc right for me? Absolutely! Healthy Meals, Inc is the perfect choice for people who have specific fitness goals. We have professional athletes, fitness and body building competitors, marathon runners, personal trainers, and individuals seeking to be in the best shape of their life on our plan. Just as our customized portion sizes can promote weight loss, they can also promote an increase in muscle mass for individuals who follow a program of resistance exercise. We can just as easily provide the right food for endurance athletes, and other fitness enthusiasts. What if I need to stop my meal delivery for a day or even a week? We require 24 hour notice for your HOLD dates and you can put your plan on HOLD for as many days as you need. Those days automatically get tacked on to the back-end of your program’s term thereby extending it out that many days further. Eating a well balanced, nutritious diet is imperative during pregnancy or when you’re nursing your child. Healthy Meals, Inc offers both prenatal and postpartum meal regimens providing you with an increase in your protein intake equaling approximately 20% more calories than your normal daily meal requirements. Your child will thank you! Even this is customizable! We can bill with a lump payment, monthly, or even bi-weekly basis. You choose the invoicing frequency that is the best suit for you. Yes. One of the key components to our service is that we provide the ultimate convenience in having your meals delivered fresh every morning to your doorstep. This cost is separate from our base cost in that it fluctuates depending on local gas prices. Do you require contracts and what if I need to cancel my plan entirely? At Healthy Meals, Inc, we will never ask you to sign a contract. Perhaps we’re “old school” but we do not feel it’s necessary to require a signed legal document in order to provide a healthy meal service. We will allow a client to cancel should their circumstances warrant it, but do implement a standard $150 cancellation fee. Yes we do! Healthy Meals, Inc offers our clients ONE FREE WEEK of meal service for every person that you refer to us that enroll in our membership. If I prefer, can I pick up my meals to save on the delivery fee? Of course! The delivery of your meals right to your door is what makes our service so convenient. If you live close or drive right by, you’re welcome to swing by and pick up your meals! Besides, we’d love to see you and you can tour our kitchen and meet our chefs. Serving the Kansas City Metro area!